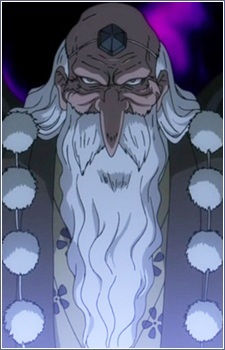 The Great Tengu of Mount Kurama is an aged yokai who was Hagoromo Gitsune's right-hand man 400 years ago. During the battle between her forces and Nurarihyon's, he fought against Gyuki. His place has since been usurped by Minagoroshi Jizo, who rewrote the memories of the rest of Hagoromo Gitsune's forces to forget that the tengu was ever among them. As a means of revenge, the Great Tengu of Mount Kurama decides to prevent Nue's birth and strikes a deal with Gyuki in regards to Rikuo's training in Kyoto to assist in the process. However, when he begins to feel that the training is taking too long, he sends his underlings to retrieve Nenekirimaru on their own - which ultimately proves unsuccessful.